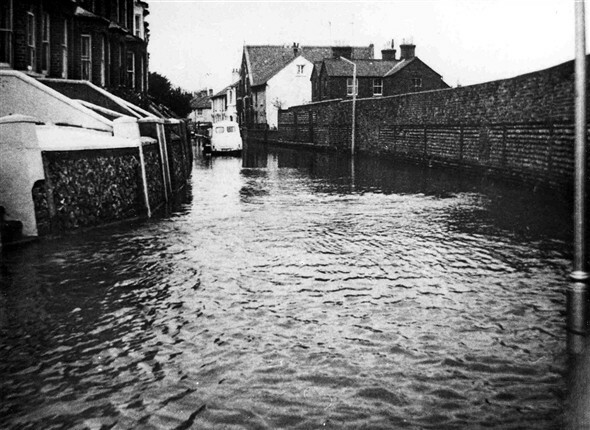 Amongst my photos I have a series depicting flooding in Newhaven in the area around South Road. 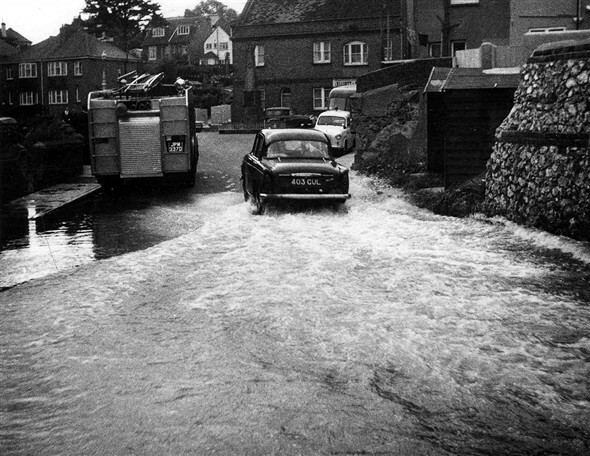 I can recall flooding occurring in that part of the town and think these photos may have been taken at a time when those floods were particularly severe but cannot recall when this took place. Can anyone put a date to the photos please? Judging by cars in view it looks as though it may have been about the late 1950's to early 1960's. This page was added by Derek Longly on 17/05/2012. 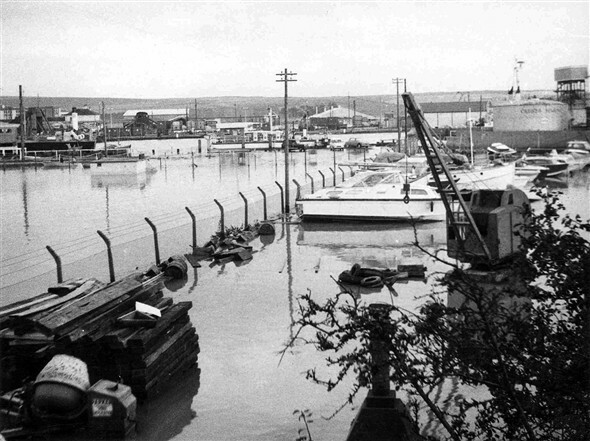 I think this was 1967, as I was working at Cresta Marine weekends at that time and remember having to help bail the sea water out of the office before I could start work. I lived at 93 Chapel Street almost opposite the second lampost in the middle picture till the late seventies. 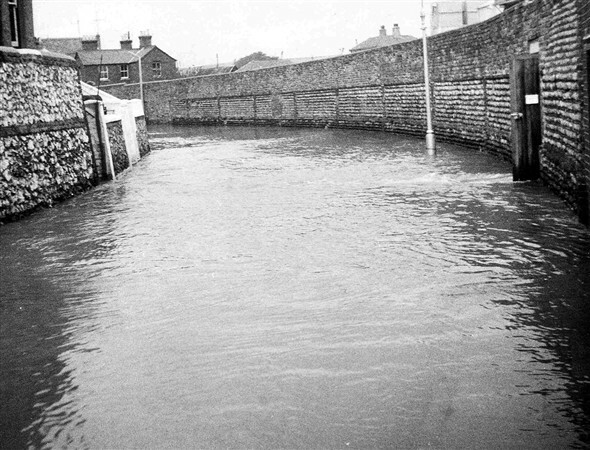 The flooding happend at least once a year on the spring tide I can always remember the houses at the Fort Road end of Chapel Street during the flooding as these houses where below road level they had it bad every year.